This active sulphate-free cleanser gently foams to thoroughly cleanse and exfoliate the skin. A combination of White Willow Bark (Salicylic Acid), Papaya and Pineapple Enzymes gently remove unwanted dead skin cells. Lilli Pilli Fruit extract high in Vit C has great healing and anti-bacterial properties to brighten the skin. Liquorice Root extract a powerful antioxidant and great for sensitive skins. Lime & Juniper essential oils help to purify the skin and kill off any surface bacteria to help prevent blemishes. 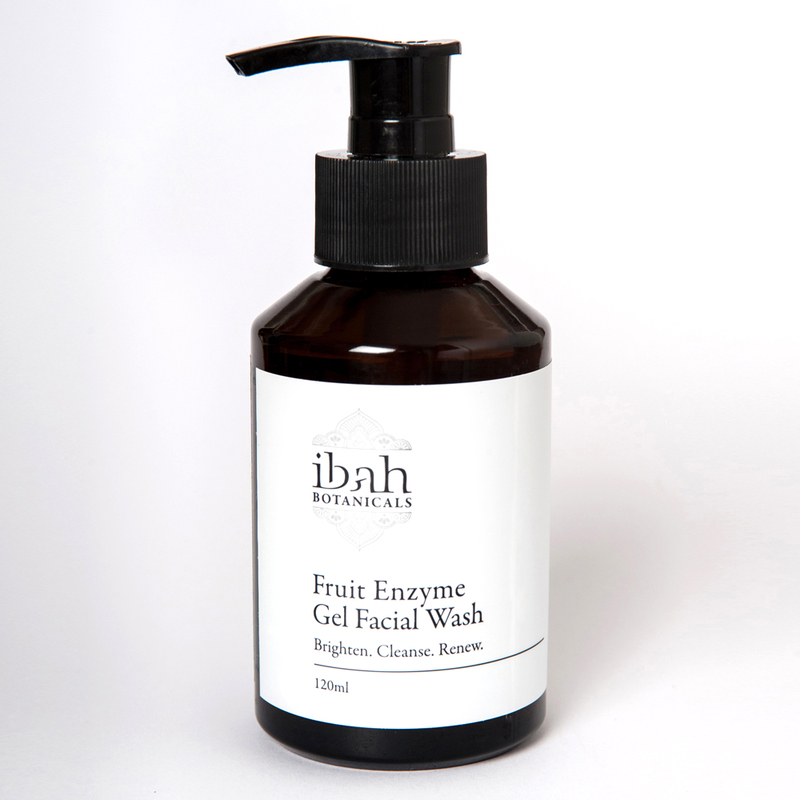 Directions: Wet hands and apply a small amount to face and neck and cleanse, remove with water, use morning and night finishing with our enzyme mist and ibah moisturizer of choice. Purified Water, Lauryl Glucoside (Coconut & Sugar Derived), *Glycerin, *Asimina Triloba (Papaya) Extract, Cocamido Propyl Betaine (Coconut Derived), Ananas Sativus Fruit Extract (Pineapple), Salix Alba (White Willow Bark), *Glycyrrhiza Glabra (Licorice) Root Extract, *Syzygium Leuhmanii (Lilli Pilli) Fruit Extract, Citric Acid, Citrus Sinensis (Orange) Essential Oil, Citrus Aurantifolia (Lime) Essential Oil, Citrus Bergamia (Bergamot) Essential Oil, Juniperusdeppeana (Juniper) Essential Oil, Tocopherol (Vitamin E), Hydroxymethylglycinate (Glycerin Derived). *Denotes Certified Organic.